12 pp. Roman, 252 pp. This study deals with territoriality in pastorally managed areas of the Abala community of Western Niger. The focus is on the dynamics of territoriality which have to be continuously maintained and can be questioned any time. Contrary to a sedentary perspective, the author holds the opinion that territoriality is not weakened but in fact even strengthened by mobility. The discourse regarding territoriality forms the theoretical framework in which the present study analyses material of anthropological fieldwork among different communities in Western Niger: Arma, Tuareg, Fulbe, Hausa and Zarma. In a first step, the ethnic groups and their history of mi­gra­tion as well as the formation and legal basis of a zone pastorale is presented. This description starts from the historic context of the displacement of the Iwellemmedan Tuareg to the north by the French colonisers which led to a resettlement of the research area as well as the foundation of a Hausa canton including this resettlement. The areal reorganisation created the prerequisites for ter­ri­to­­riality which are still relevant for an analysis of current conflicts. 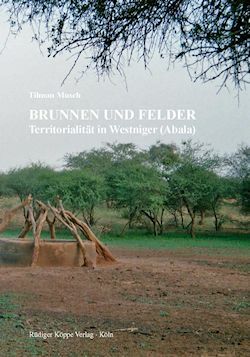 In a second step, two detailed case studies of conflict over land are analysed from the perspective of legal anthropology, one be­tween the Arma – assimilated to the Tuareg – and the Fulbe on the one and between the Arma and the Hausa on the other side. Of special interest are, among others, attempts of occupancy of territory as well as territory marking with wells. The analyses finally lead to the concept of an open territoriality which is helpful for des­cribing the connection of nomads to space one the one and defining nomadism on the other hand.